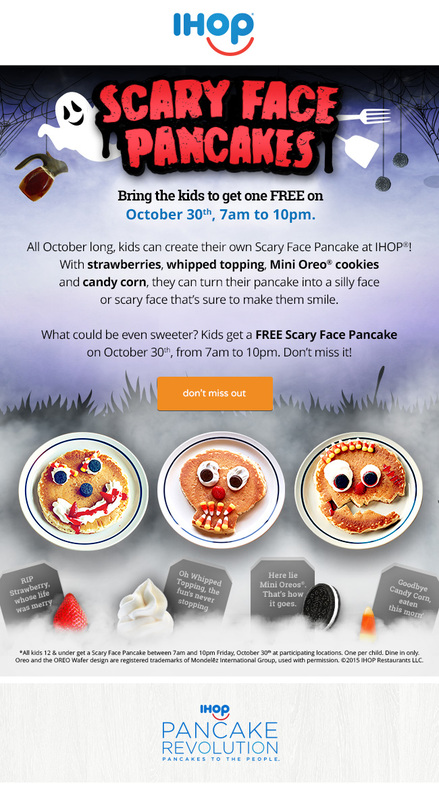 Bring your kids into your local IHOP on October 30 (from 7am until 10pm) for a **FREE** Scary Face Pancake. 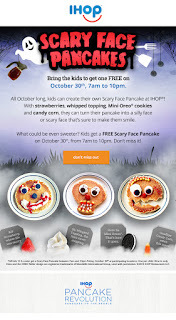 Visit the IHOP facebook page for more information or to find your local restaurant. *Kids 12 and under. One per child. Dine in only.